SpaMedica is a leading provider of ophthalmology services for NHS patients, performing around 400 surgeries each week across its six clinics in the North. 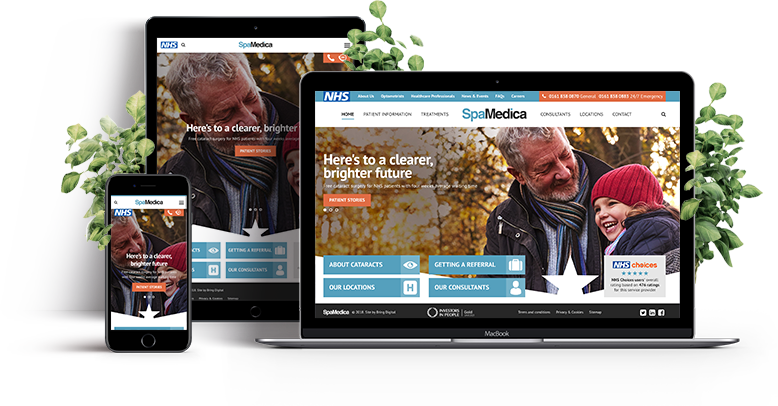 Bring Digital was tasked with redesigning the SpaMedica website with a focus on increasing traffic and quality lead generation for its clinics. The site had to stand out against competitors by emphasising its position as a cataract specialist and cater for a varied audience including patients, family, careers, and GPs.